MELODY HOUSE provides a whole new world of elegant and extraordinary bedding sets, we believe in the extraordinary value of quality, service and a long-term commitment to both our customers and our products. Our promise is to meet our customers’ highest expectation to the maximum extent. 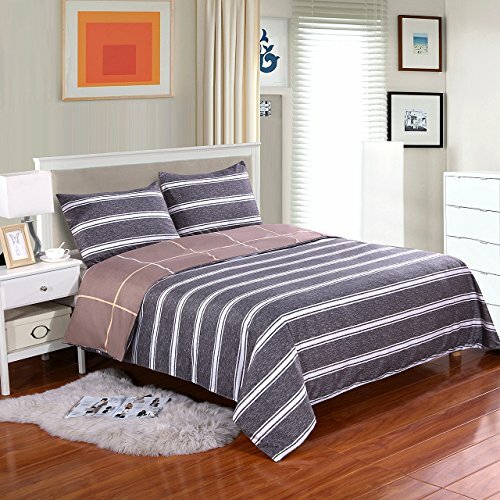 Made of high quality brushed microfiber fabric, this duvet cover gives you super soft and comfortable sleeping experience. This duvet cover set is effective for people who have allergies because they repel dust mites and provides a super soft sleeping surface that is free of allergens. Machine wash in cold water, gentle cycle, tumble dry low, do not bleach.PLEASE NOTE: Due to different batches of production, there may exists subtle detail differences.